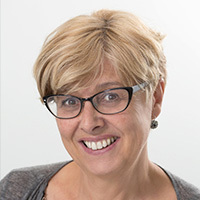 Jane is currently the Environment Commissioner with the Australian Productivity Commission as well as a Director of Western Water Corporation and an Adjunct Professor at the University of Canberra. She has more than 25 years’ experience in sustainable water resource management, providing policy advice on issues such as urban and rural water supply and security, national water reform, river health, environmental water allocation and catchment management, and the management of water during drought and climate change. Her career encompasses intergovernmental policy development and negotiations, particularly in relation to the management of the Murray–Darling Basin, and the oversight of major water projects and programs. Previous positions include Professorial Fellow in Natural Resource Governance at the University of Canberra, Deputy Secretary for Water in the Victorian Department of Environment and Primary Industries, Commissioner with the National Water Commission and Chair of the Murray Darling Freshwater Research Centre.